Path to 5G is a monthly series sponsored by Telus and Huawei. In future segments, we’ll explore how 5G will transform various aspects of life in Canada, including automotive technology, rural connectivity and the development of smarter homes and cities. With the first 5G networks set to launch in just under a year, coverage is starting to heat up. But, chances are, you’ve still got some questions. Maybe even some very basic questions, like: what exactly is 5G? And why should you care? That’s where this guide comes in; it’s everything you want to know about 5G in Canada, simplified. In a nutshell, 5G is the fifth generation of wireless technology. It’s better than 4G LTE in the ways you’d expect — faster data rates and lower latencies — but it’s also more than that. It sets the stage for the next major wireless evolution, and it does so with more forethought than any previous wireless generation. It was designed from the beginning not just to build on the past wireless generations, but to provide a flexible canvas for groundbreaking applications that have yet to be invented. Evolution of mobile broadband: Technologies that build on current use cases but will demand higher speeds and lower latencies. For instance, video streaming and VR/AR. Next generation of Internet of Things: Experts predict the amount of connected things — from home appliances to city infrastructure — will explode in the coming years. 5G networks will optimize for low cost and long battery life. Mission critical applications: Here’s where self-driving cars and remotely-connected drones come in. For these applications, low latency and error-free communication is a must. At peak speeds in ideal conditions, 5G networks are expected to reach up to 20Gbps download speeds. That’s roughly 20 times what’s possible with LTE-Advanced today. It will also lower the time it takes to begin accessing content from the network (otherwise known as latency) to about a millisecond. That’s not where 5G networks will start out, though. When carriers first launch 5G networks in 2019, peak speeds will come in around 6Gbps, while latency will be in the single digits. That’ll only be possible, however, in areas with millimeter wave spectrum — a key band of spectrum for 5G. Millimeter wave, or ‘mmWave,’ is an extremely high-frequency band that offers high data speeds but has a short range. To implement it, carriers will need to install many boxes with mmWave antennas across any given coverage area, everywhere from inside buildings to telephone poles and ducts. At peak speeds in ideal conditions, 5G networks are expected to reach up to 20Gbps. These mmWave ‘small cells’ will provide 5G speeds, while carriers will continue to use low and medium-frequency bands to cover range. Naturally, that means urban areas will get a taste of the 5G future first. In fact, even within urban areas, you’ll likely see the first deployments in densely-populated gathering places like stadiums; Rogers is already staging a 5G field test in the Rogers Centre in downtown Toronto. Telus and Huawei have also centered many of their 5G Living Lab efforts around BC Place in downtown Vancouver, where next-generation networks can be piloted real-time in a crowded setting with heavy data demands. But it’s important to note that, even in areas with mmWave, you’re not going to see those peak speeds in real life. Bell and Telus both offer peak LTE speeds of 750Mbps. As you’ve probably noticed if you’ve ever used a speed-testing app, though, the service is usually tens of megabits-per-second, not hundreds. With 5G, we can expect real-world speeds to be hundreds of megabits-per-second — a major upgrade, just a bit less than what the peak speeds would make it seem. Throughput: The amount of data moved successfully from one place to another in a given time, typically measured in megabits-per-second (Mbps) or gigabits-per-second (Gbps). Latency: How much time it takes a packet of data to get from one point to another. Generally measured in the milliseconds it takes for a data packet to make a round-trip from the sender and back again. mmWave: An extremely high-frequency band of wireless spectrum that provides high data speeds at a short range. Small cells: Low-powered cellular radio access nodes that have a range of 10 meters to a few kilometers. Network slicing: A form of virtual network architecture that allows carriers to deliver different types of service depending on the requirements of the application. 3GPP: 3rd Generation Partnership Project. An international standards body that brings together members into working groups that tackle technical specifications. How is it different from past wireless generations? The late 1970s is widely considered the starting point for the first wireless generation, making cellular systems almost 40 years old. Each previous generation popularized a technology that changed the way we communicate. 2G ushered in texting, while 4G LTE has been all about streaming video, which now permeates all of our social media platforms. 5G sets the stage for the next major paradigm shift in wireless. The only thing is — no one’s sure what the main use cases will be this time around. There are few emerging, but many of them require vastly different things from a 5G network. For instance, a self-driving car needs error-free communication at an extremely low latency, while a wirelessly connected gas meter just needs to be cost-effective and easy on battery life. So how do you build a network that works equally well for both, future-proofing against the inevitable winds of change? You introduce a way of segmenting the network to provide exactly the kind of service that each use case needs. It’s called ‘network slicing,’ and is a key component of 5G, as well as a major distinction from previous wireless generations. “You wouldn’t give millisecond response time to everybody, because not everybody needs it,” explains Bruce Rodin, vice-president of wireless technologies at Bell. Essentially, the network will always deliver ultra-low latency to something like a rescue drone, but other devices — like a connected gas meter, for instance, may not need the same service. Some carriers around the world claim they will be deploying standards-compliant 5G services by the end of 2018, or early 2019, though it’s possible that 5G won’t start ramping up in Canada until 2020.
International standards body 3GPP released the first 5G specification in late December, 2017. 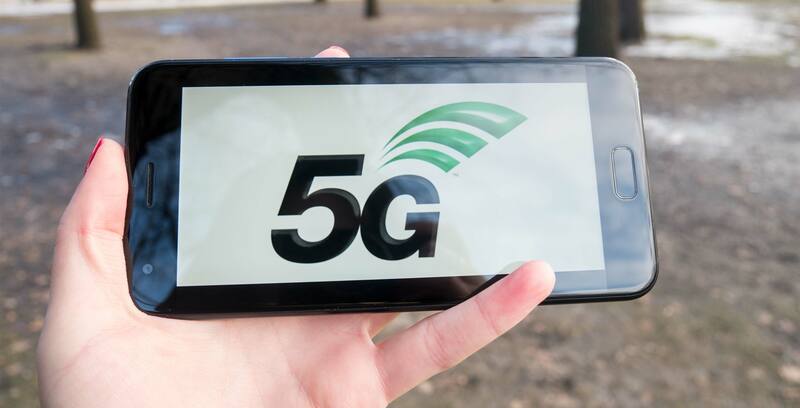 The first products customers are likely to see hit the market are 5G wireless hubs that act as fixed broadband substitutes — like the one that Telus and Huawei have recently revealed in their joint Vancouver trials. If 5G is anything like past wireless generations, it will hit maturity in around ten years. This is perhaps the most important question of all. Experts can talk all day about 5G’s transformational potential, but when it comes down to it, all that matters to consumers is the practical ways in which it will enrich their lives. To begin with — even before new technologies harness the full potential of 5G — consumers will see faster speeds and lower latencies for activities they’re already doing in force, like streaming video. “We have an immediate need for more capacity,” notes Sherif Hanna, director of product marketing at Qualcomm. In a broader sense, though, 5G is expected to usher in an era that shifts its focus from connecting people, to connecting things. “The Internet of Things will do for 5G what the smartphone did for 4G. That impact will be profound,” says Rob Backhouse, vice-president of wireless technical sales and solutions at telecom infrastructure giant Huawei. From household items to cars to city and industrial infrastructure — everything will be in communication. And that has the potential to change our lives, and the broader society, forever.